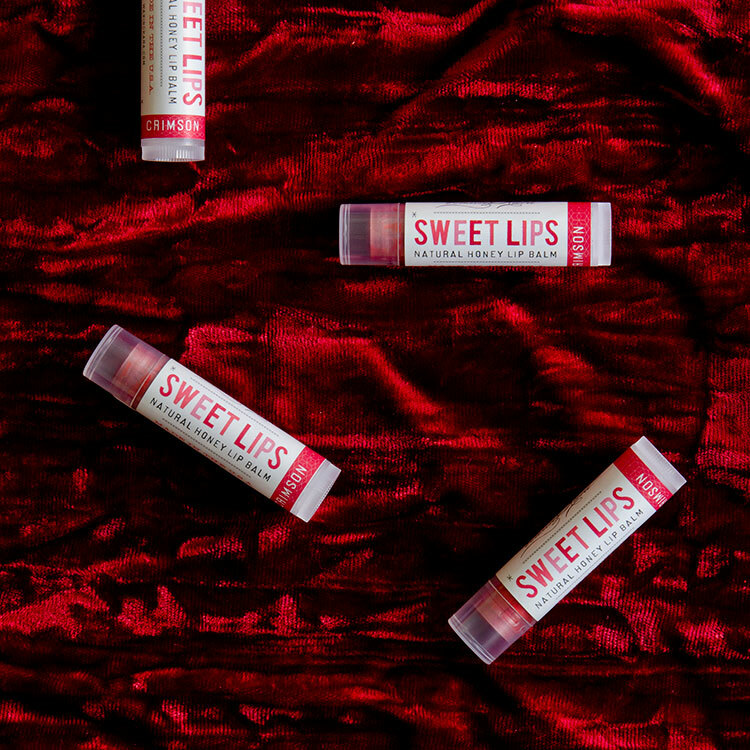 Made with a 92% organic formulation that pampers your lips, Sweet Lips Red Trio offers luxurious moisture with a sheer kiss of color to brighten your day. Honey, beeswax, botanicals and mineral colors combine to form a richly nourishing formulation that will leave your lips soft, smooth, and shimmery. Earn 24 Points when you purchase this item! If you’re looking for a dose of moisture, this trio has your lips covered. Formulated with honey and plant oils to be soothing to the lips, and colored with mineral pigments for a naturally vibrant pop. 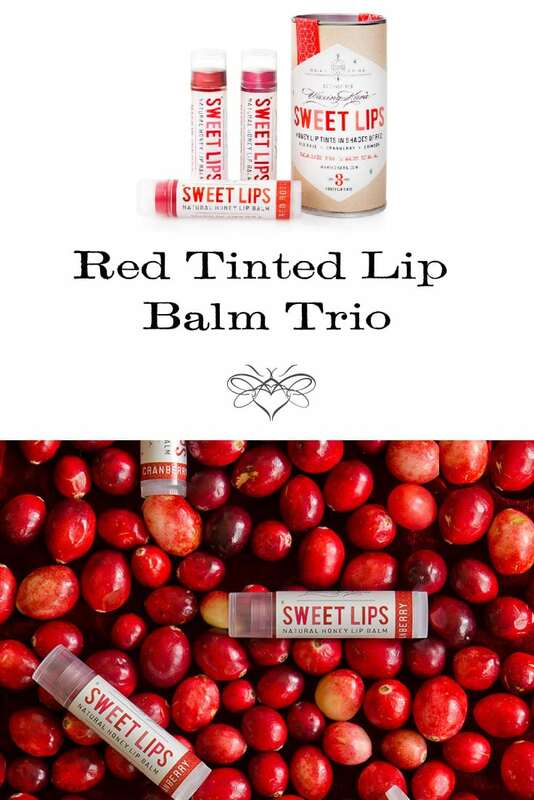 This pack of Red Tinted Lip Balms comes with three shades: Red Rose, Cranberry, and Crimson. 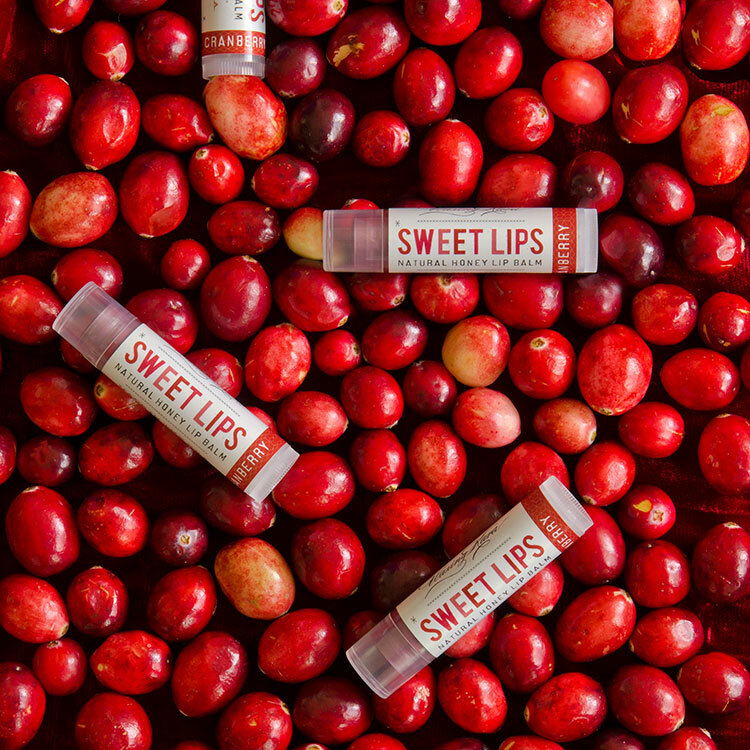 Interested in a USDA Certified Organic honey lip balm with no tint? 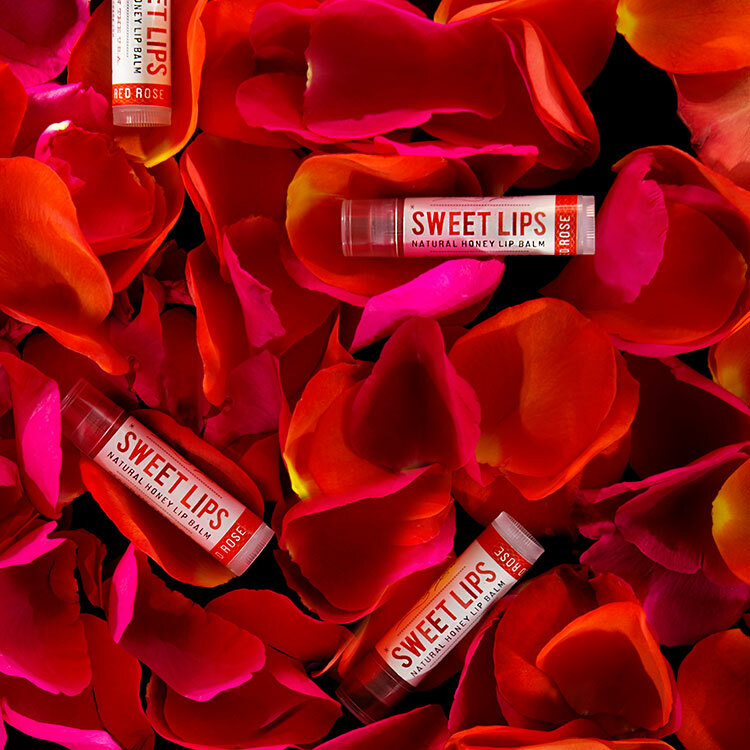 Try Sweet Lips Honey Lip Balm. Who it’s for: Perfect for giving a kiss of color to dry, chapped lips. Flavor: A hint of peppermint and vanilla, from essential oils. Caution: Discontinue use if irritation occurs. Store away from light and heat. I love these. Each is a subtle shimmer of color, perfect for when I want to get a little fancy, but not go full-vamp. I also appreciate how they do not feel heavy or plastered on… I’d forget I’m even wearing any, were it not for the refreshing little tingle of peppermint! I’m in love with these! They feel great – the peppermint gives your lips a little zing and smells fantastic. The crimson has the most pigment but I am so pleased with my purchase. Natalie! Thank you so much. So glad to hear you love what you have! I initially bought this as a gift but changed my mind once it arrived. I’ve purchased the plum before and loved it. The reds are no different. I use this product on a daily basis. Great colors for a subtle pizzazz to an every day look. Red rose is probably my favorite color.